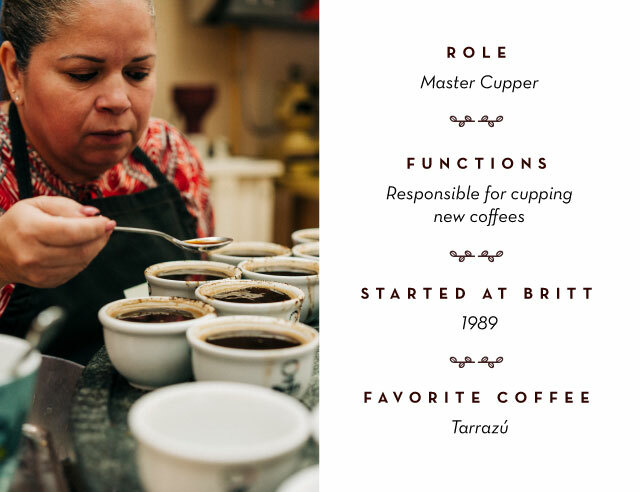 Carmen Lidia Chavarría, Café Britt’s Master Cupper, has a dream job. As Master Cupper, her main responsibility is to test the flavor of Britt’s coffee. She’s been perfecting her tastebuds with us for 26 years. 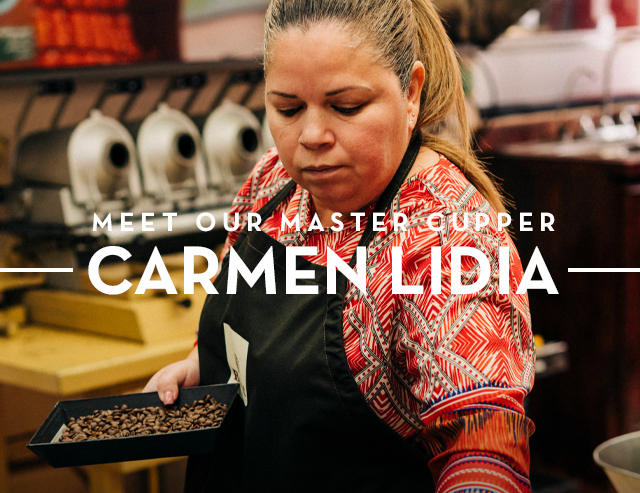 She developed her love for coffee in Perez Zeledón, where she was born, and worked as an assistant in the milling process at a cooperative. After realizing her love of coffee, she reached out to the Federation of Cooperatives of Coffee and worked for them in Human Resources. 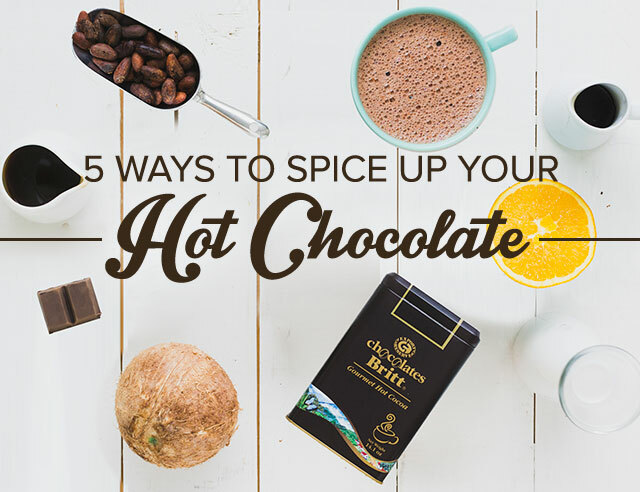 In the afternoons, she would sneak into the laboratories to taste the coffee—the experience that eventually led her to Café Britt. 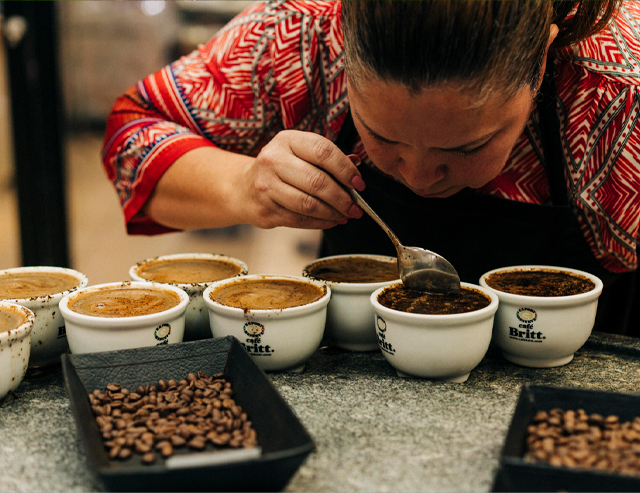 Since coming to Britt, Carmen spends her days sampling incoming batches of coffee and deciding what beans will work best in a particular blend. 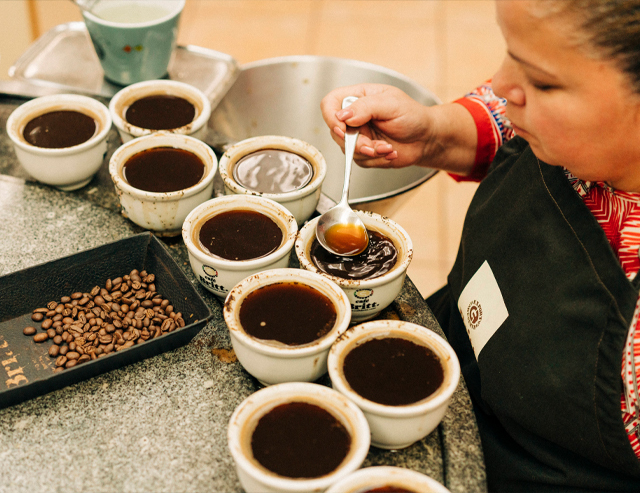 She helps us understand the ideal flavors for our coffees and often introduces us to exciting new combinations. 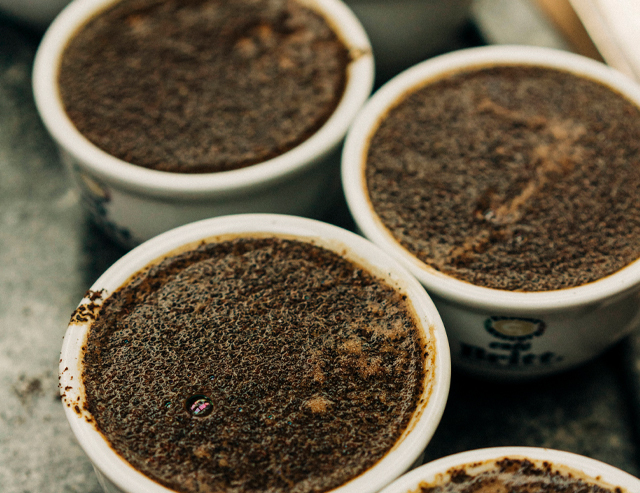 Sometimes she samples more than 100 coffees in one day, but most of the time tastes between three to ten. Her favorite coffee is Tarrazú from Costa Rica and Nariño from Colombia.